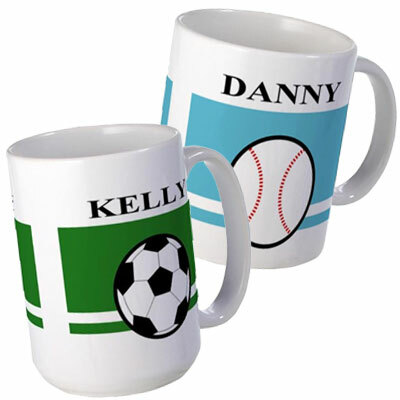 Small and large personalized sports mugs made of ceramic with large comfortable handles. For pricing and more details on how you can customize with a name and color, pick a design from below. Currently we have baseball, basketball, soccer and tennis mugs.